The Vox 2 is a talking scale designed to be used by the visually impaired, which speaks in English, German, French, and Spanish. 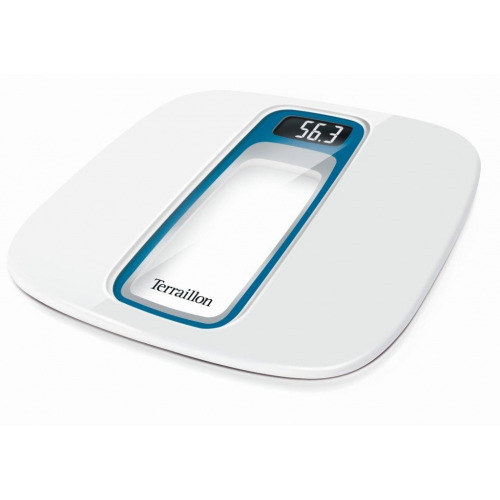 It has been ergonomically designed to facilitate easy interation for visually impaired users and weighs up to 5000g to an accuracy of 1g. 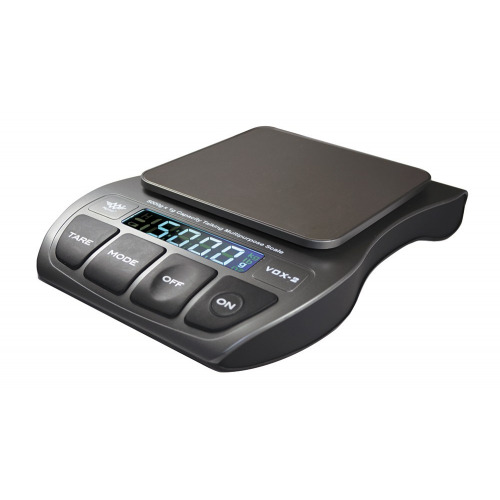 The Vox 2 is a talking scale designed to be used by the visually impaired, which speaks in English, German, French, and Spanish. It has been ergonomically designed to facilitate easy interation for visually impaired users and weighs up to 5000g to an accuracy of 1g. The Vox 2 features a stainless steel platform for easy cleaning and a large backlit blue LCD display. 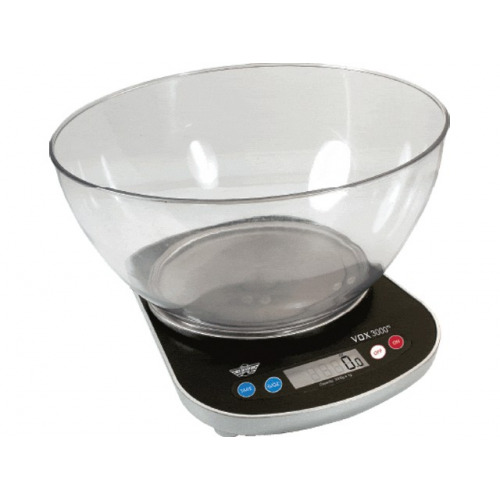 It also has a tare function for weighing things in containers. The Vox 2 is powered by 4 AA batteries (included) and features an auto off function to preserve energy.